Replaces standard 14x30x1 sized disposable filters. Standard filters are generally undercut 3/8 inch. The actual size of this filter is 13-5/8 x 29-5/8 x 7/8. Replace your disposable air filter with an Electrostatic Furnace Filter. 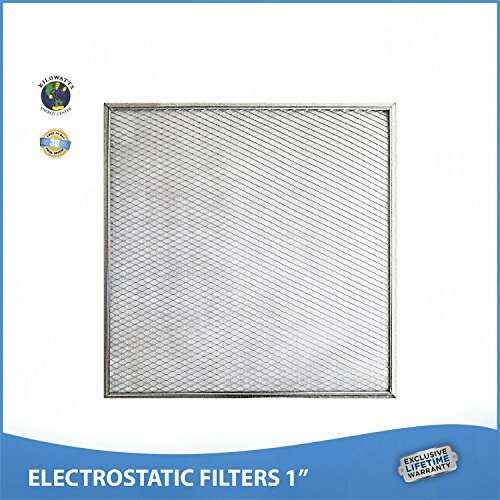 Our products manufacturing Electrostatic Filters has a rating of Merv 11. They're washable, permanent and trap ten times more dust than throwaway filters. The best prices on the best permanent, washable electrostatic furnace filters. Lifetime Warranty. Never buy another filter again! One of the most attractive parts of washable air filters is the fact that you never have to buy a new one. This is definitely a plus; I mean who wants to buy a new air filter every few months? Even if you opt for the cheaper air filters that run you 10 dollars each (which I do not recommend), you still have to go through the hassle of buying them and replacing them on a regular basis and who wants to deal with that?